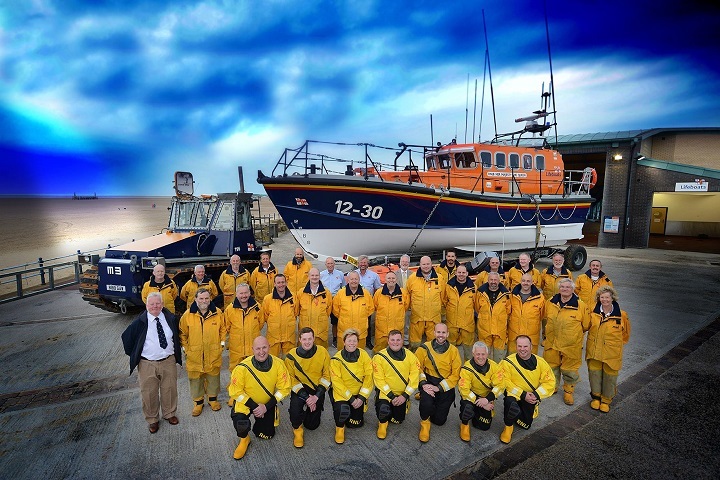 A very big THANK YOU to Allen Markey who had produced the Lytham St Annes Lifeboat 2015 Crew Photograph. The great unveiling took place on Thursday evening 3rd of September at 'The Taps' in Henry Street Lytham and takes pride of place over the fireplace in the area designated as 'The Boathouse' in the newly refurbished hostelry that has been the ancestral home of the lifeboat crew for over 25 years. Full press release is to follow.